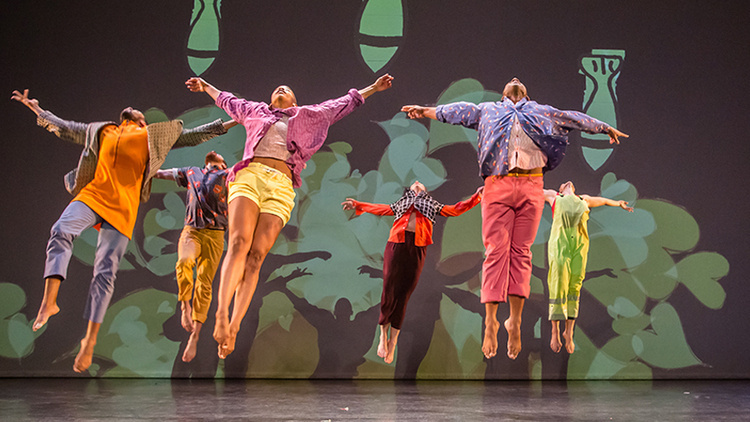 David Dorfman Dance's Aroundtown is a kinetic poem examining the varied notions of LOVE- its meaning, purpose, and platform. With original music, text, and visuals, the work explores commitment, community, and intimacy in times of violence and strife. DDD's empathy, humor, and highly athletic physicality are harnessed to examine LOVE as sociopolitical and intimate. This event is co-presented with the UCCS Theatre and Dance Program and Ormao Dance Company.